I do not want to make an exhaustive and a comparative review, many others have already done a good job! Awesome over all performance, this phone has never had a glitch in multi-tasking nor has it ever conked off or frozen with heavy graphic apps usage. 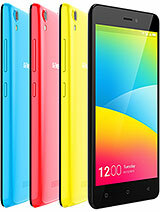 The quad core snapdragon and the 2 gig RAM sitting pretty well inside do not disappoint at all! Camera: in natural light the 16 mp camera captures good quality pictures and colours are vibrant. Low light shooting is a little dissappointing, Lumia 520 does a tad better at that! 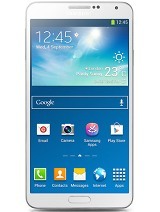 Display: Its simply brilliant, Full HD has a good resolution and quite visible in bright sunlight. Kitkat should follow soon. Cheers to the phone, your money is well spent if you are looking at a robust, stylish and one performer of a smartphone. What to say? This is solid and very good phone. 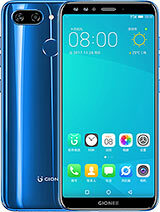 I've tried this phone from a friend and was interested in buying it for my own. The limited 16 GB memory on board with no option to expand it is the only drawback I feel. I am not going to go into technical details as many has already talked about it. Rather I will mention some important points which may add onto others thought. 1. This is a nice size phone which goes into normal indian pockets. So that way it is comfortable. 2. The UI stumbles but other launchers help balance it. The smoothness of it is very very good. I am having an iPad but I feel that Jelly Bean 4.2 on Gionee E7 is "makkhan". 3. There is a feature which saves you battery like wi-fi spot not available, etc. 4. Smart gestures are a cool and must have feature. 5. It has NFC which can be used in future. 6. Play movies, games etc. and it has crystal clear screen clarity and the camera is capable of capturing stunning pictures. Its a VFM product in my opinion. This phone's performance is butter smooth. Beats Samsung S3 on performance. 6.Camera is the main highlight. 7.Games and apps work smoothly. the best mobile I had ever used!!!!!! i m waiting for it,in btwn 1 week in sha allah i will buy.thanks javed vai great sugstn. Thumbs UP for this product!!!!!!!! When I was planning to but a new phone, I had lots of confusions. Because I have never used an android phone before and also I am a great fan of Nokia phones. But this time I planned to go for Android phones. I had lot of choices. But after reading lots of reviews, opinions from my friends, I filtered to some few phones. Moto X, Xperia Z1 and Gionee E7. Now I have this great phone. Before posting my views let me tell you this. I wanted to play heavy games and use a lots of apps that was missing from Nokia. I have migrated to a smartphone and this phone suits me a lot. I am using it for past 1 month and I never experienced any lag or slowness. I hope they upgrade to latest android versions. I am getting pretty much good battery backup. With mobile data ON - more than 1 day when compared with my friend's Xperia Z1. with wIfi ON - more that 1 and half days. The Power manager mode in this phone is really great. Easy to handle and smooth. Camera is very nice with 16 MP. Although the one good thing i liked about this phone is its screen clarity. Believe me, its truly HD. Plays Full HD movies without a single lag. Specially made for game lovers. My previous phone was Xperia Neo V. The processor speed compared to that is awesome.The phone is really really fast. Its been 1 week i've been using the phone. My 3G will be ON 24 hrs a day and battery lasts for more than a day with normal usage. One other thing is its speaker volume. It is a bit less compared to my previous phone. Get a good headset like skull candy or sennheiser coz you dont a clear sound with the bundled earphone. And when you play high graphic games it gets heated up a bit, which is natural in any phone. I dont feel these are very big drawbacks. 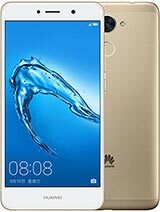 So if you are planning to get a phone in less than 30k range. 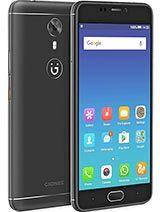 I have been using the Gionee E7 for almost 3 months now, and I guess the experience qualifies me to write a review for all potential buyers of this phone. First off, I’d like to say that this phone is EXEMPLARY considering the price you’re getting it at. Software: The phone has Jelly Bean 4.2.2 Amigo which is the not latest version of Android. This becomes apparent as you use the phone, everything is quite intuitive and no lags. The user interface looks and feels good, and one always has the option to tinker with launchers (I’d suggest Nova Launcher Prime). I have to add some extra bits about the user interface now. 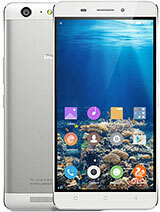 Engine: The phone comes with a Quad-core 2.2 GHz Krait CPU, 2GB RAM, Adreno 320 GPU and Qualcomm’s Snapdragon chipset. Now this was the benchmark on devices released towards the end of last year and beginning of this year currently found on many flagship devices at premium costs. Based on usage, this phone functions perfectly and if you are into heavy gaming, it will not disappoint you. Design: Although it’s not exceptionally designed, this is a phone that is pleasing to the eyes and hands. Build quality is really good, much better than some premium brands, but not Apple or HTC level. The shiny design on the back is nice, but beware, its prone to scratches and cracks. The phone has Gorilla Glass 3 up front but a screen guard is advisable. Camera: The camera I must admit was an exception on this phone. After having used the cameras on iPhone 5 and HTC One X, I was left amazed by the quality of pictures. The phone takes good pictures. It takes good HDR pictures too. 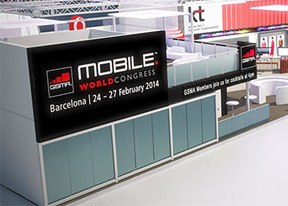 Battery: This could be a sore point for those of us who’re on 3G plans. On heavy usage, my phone lasts between 8-11 hours on a full charge. But if you switch to using only 2G networks and use it minimally, it can go up to 15 hours on a full charge. When you check your battery status you’ll see that the screen takes up a lot of juice. One way to combat this is to set your brightness low, or put it on Auto. The battery cannot be replaced. 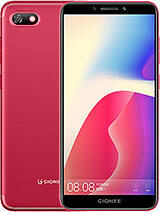 Overall, I’m very impressed with this phone and I’d recommend it without blinking an eyelid, because although this phone is not perfect, for that price, this is as close to perfection as it gets!! Javed, 13 Aug 2014I would start with my own experience of Mobile Phones. I am some one who invests his hard earn... moreVery important and useful review javed. mj, 05 Aug 2014I am confused between xperia z, micromax canvas gold and gionee elife e7. Which one to buy. Pl... moreThis is my first review, I was a sony xperia z user but today I sold it because of its high battery drainaz and it get too hot when using, its camera is not good enough also,camera looks like 8mp camera, screen is not scratch proof. I am so disturb about sony. So think before Buy it. when will e7 get kitkat version 4.4.2? 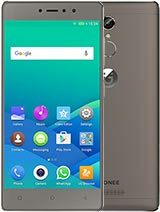 i want to buy a good phone... friends .. please .. let me know,, which phone i should buy.. elife e7, or micromax canvas knight,, or mi 3..
Lakshya Jain, 09 Aug 2014E7’s best I bought this phone a week ago and I am extremely happy with it. I have had used a ... moreIs it full hd ???? Addy, 12 Aug 2014Pls guys tell me how to use videocall in e7 pls i m waiting for ur response...pls tell me....Andy, sorry to disappoint, but this phone does not support video call through network. Apart from that no dual sim, non-removable battery, and video does not feature anti-shake.